Companies reporting under IFRS need to be IFRS 16 compliant, starting the first of January 2019. The new standard can have a big impact on your financial reporting systems. Are you in need of IFRS 16 software to support reporting? We have the perfect solution for you: OneStream XF. Why use OneStream for IFRS 16? Demo OneStream XF Online now! 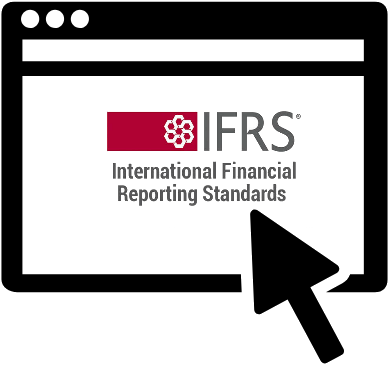 Find out how easy it is to report under IFRS 16 with OneStream XF. Want to know more about this IFRS 16 software? Request a demo! Leasing is a common practice: this new standard could have a big impact on your financial reporting systems. With our OneStream XF software, you can be IFRS 16 compliant ánd see the impact of the new lease account rules! Automated journal generation can be used to book these values straight into your financial system in order to have actual reporting in place. Calculate the impact for the lifetime of your lease portfolio. Instant overview of the Balance Sheet, Profit and Loss and Cash Flow impact. Forecasting solution to understand impacts of variables to future financials. Store all relevant data from your lease contracts in one central register. Store all relevant data from your lease contracts in one place. Easy as that! Calculate the value of your lease liability right of use asset and corresponding depreciation and repayments. The automated journal generation can be used to book these values straight into your financial system. With our software you can easily calculate the impact for the lifetime of your lease portfolio. Get an instant overview of your balance sheet, profit and loss, and cash and flow impact. With our forecasting solution you can understand the impacts of variables to future financials. IFRS 16 is issued by the IFRS Foundation and the International Accounting Standards Board, to provide a common global language for business affairs. The standard will represent a new lease standard and will affect accounting from the perspective of the lessee. Under the new standard, both financial and operational leases need to be recognized on the balance sheet. This will reflect the value of the right of use asset and corresponding lease liability. IFRS 16 also affects individual balance sheet accounts which have further impact on ratios such as solvency, asset turnover and debt/equity ratio. Other than that, the profit and loss will show an increase in EBITDA. This is due to the movement of operation lease expense to depreciation and interest. Missed out on the IFRS 16 webinar? Learn how the OneStream XF Lease Accounting tool for IFRS 16 & ASC 842 ensures compliance with new leasing regulations and helps you manage the large volume of IFRS lease accounting data and discover how our IFRS 16 Lease accounting software tool provides data collection, calculations, reporting & disclosures.